Tests being carried out on suspect horses; Six cases are now confirmed, all from the original yard in Cheshire. Race meetings in Britain remain suspended until Wednesday at the earliest. Horses from a second yard have now shown signs of equine flu. Rebecca Menzies' yard in Sedgefield, County Durham, has three horses that are showing symptoms of the virus. Menzies told Sky Sports News the animals at her stables have been kept in isolation for a long period and haven't taken part in any racing. Nasal swabs have been taken from the horses and the samples have been taken to labs in Newmarket to be tested. The British Horseracing Authority (BHA) is expected to reveal the results of those tests on Saturday. Racing in Britain has been cancelled until next Wednesday, at the earliest, after the initial three positive tests returned by horses from Donald McCain's yard in Cheshire. The BHA has since confirmed six horses from McCain's yard have now returned positive tests for equine flu. 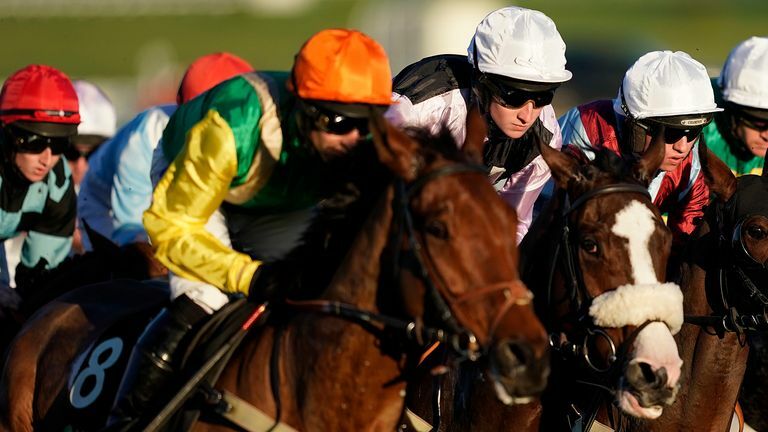 Cheltenham's potential cancellation because of the equine flu outbreak would have a big financial impact, says former chief executive of the British Horseracing Authority Paul Bittar. A BHA statement read: "Of the samples that have been returned so far, three further positive results for equine influenza have been reported, all from the original affected yard. "This means that in total six positive tests have been returned from the horses tested so far from this yard. "Of the four horses from this yard who competed at fixtures this week, one has returned a positive sample so far - Raise A Spark, who competed at Ayr on February 6. The test on this runner relates to a sample taken the following day, and the horse showed no clinical symptoms on raceday. "It was in anticipation of this risk that the decision was taken by the BHA to restrict movement of horses on a precautionary basis at the yards of 120 other trainers who competed at these fixtures, and to suspend racing until Wednesday at the earliest. "This action was taken to mitigate the impact of any of the runners which competed at these fixtures being found to be infected by the virus. "It will not be possible to test every horse from every yard before the end of the weekend, but we will work with trainers to identify any priority or risk horses and ensure that they are tested. This will all form part of the picture that is built in order to assist the decisions that will be made on Monday."